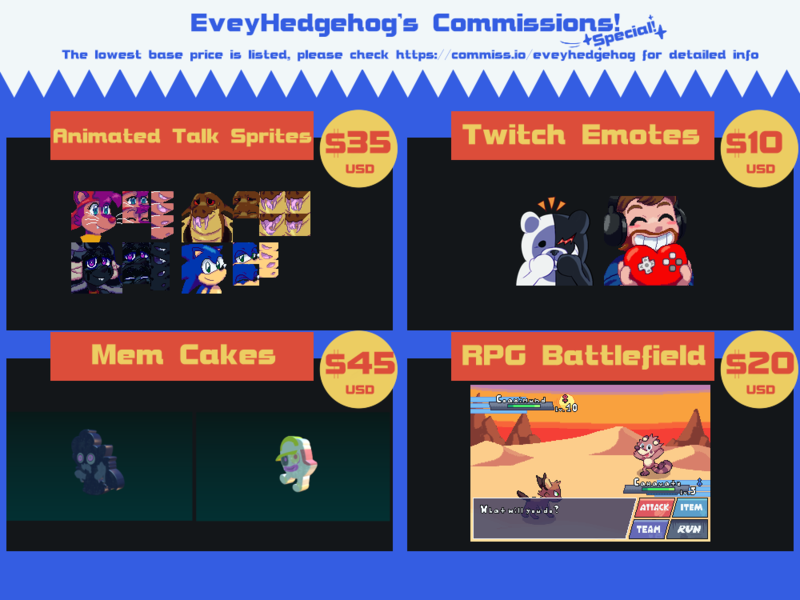 BEFORE YOU COMMISSION PLEASE READ MY TERMS OF SERVICE, if you don't read them and commission anyways you are still obligated to follow them. Please send all offers at commiss.io: here. I'd rather use that website, at the time of typing up this post it doesn't use Paypal (only Stripe). But, even if you can't use Stripe I still want your offer through commiss.io (I will send a Paypal invoice and mark the commission as "Paid Offsite"). 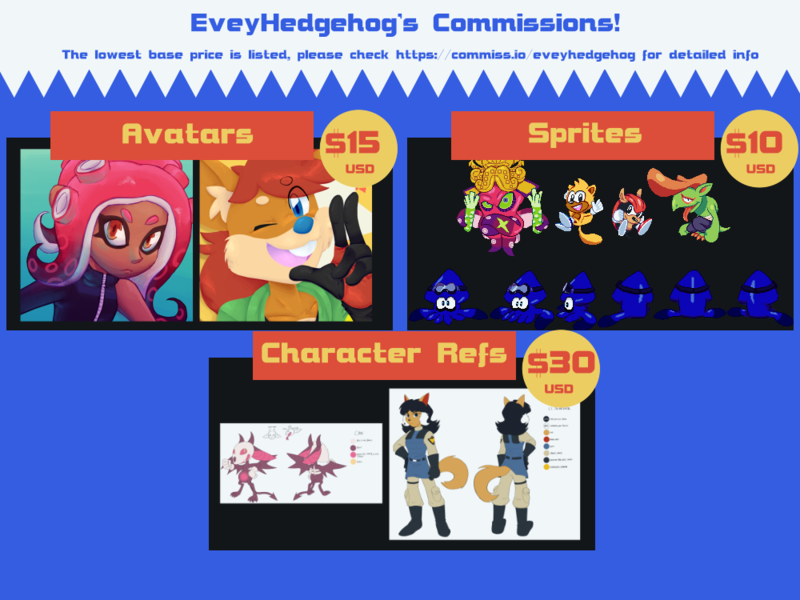 If you would like another type of commission that would be nice too, but I think I shouldn't accept any comic ones right now (since I'm currently working on one). 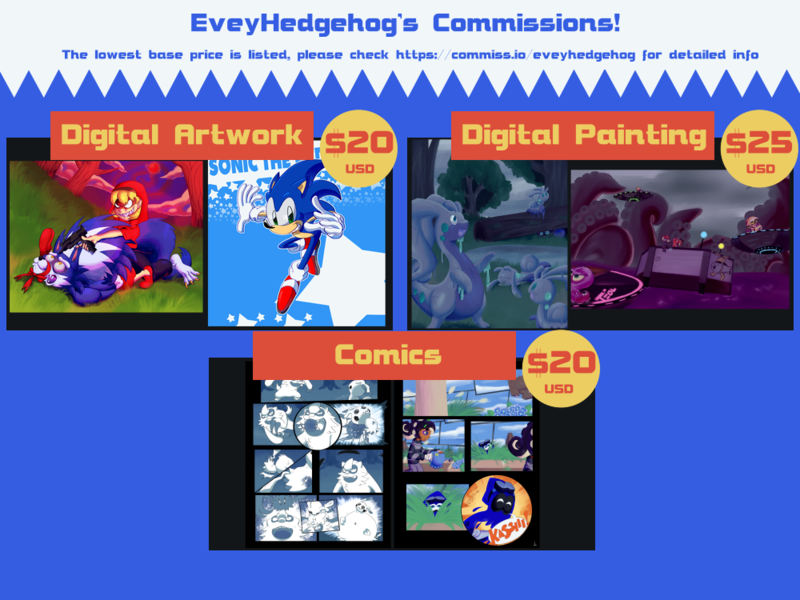 Again, like above, the best place to contact me is on Tumblr/Twitter for the fastest response and my Paypal is still the same. Hello! I updated my super out-of-date first post with new info, so check that out! I wanted to have the example images show up as images, but it looks like this website blanks out posts with images, Sorry.